This simple dress sporran has 3 tassels with crossed chains. It comes with an antique cantle (the metal part at the top) and also comes with a sporran chain to fit the waist measurement provided. 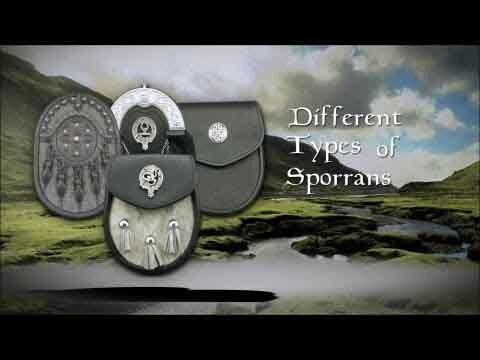 This sporran NOW comes with our new 'Internal Pocket' design to hold business cards, credit cards or lose change. This way, you won't have to dig around the bottom of your sporran for that last quarter or for your business card. This internal pocket design is exclusive to USA Kilts. This is not the first itme I have purchased from USA Kilts. The kilt, hose from the past and this Dress Sporran are continued examples of outstanding service, quality, and craftmanship! I had a causal leather sporran before and wanted to something formal to go with my Prince Charlie outfit. 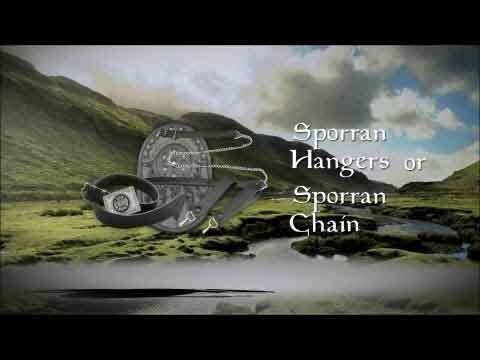 This is a great sporran for the price, quality is good. Shipping was amazing (2nd time ordered from USAKilts), received tracking # next day.